Learn more about the residents of Ward 1. Lois Tarkanian was sworn into office as the Las Vegas City Councilwoman representing Ward 1 Feb. 2, 2005. She was re-elected in 2007, 2011 and 2015. Councilwoman Tarkanian currently serves as Mayor Pro Tem. Dr. Tarkanian holds a bachelor of arts in education, a master of arts in speech pathology and a doctorate in leadership and human behavior. Prior to serving on the City Council, she served for 12 years as a member of the Clark County Board of School Trustees. As an educator, she has held positions as a classroom teacher, a speech pathologist, principal, central office administrator and Nevada Community College and California State University instructor. In private practice she founded Oralingua, the first private day school for deaf children in California, and also initiated Nevada’s first full inclusion program for deaf children in the demonstration pre­school at the Community College of Southern Nevada. She also held national clinical certification in speech pathology, language, and audiology and did clinical work with autistic, deaf and aphasic children. She currently serves as a board member on a number of different organizations including the Clark County Public Education Foundation, FACT ­ Family and Child Treatment Center for Abused Children, Oralingua School for the Hearing Impaired, Nevada PEP – Professionals Empowering Parents, Emerge ­ mentoring emerging women leaders and as chairwoman of the Advisory Committee for the Teacher Education Academy at Clark High School. In addition, Dr. Tarkanian has been honored by such designations as Humanitarian of the Year by Catholic Community Services, Silver Lily Award as Humanitarian of the Year by March of Dimes, Citizen of the Year by Westcare, Golden Book of Deeds Award by Kiwanis Club, Nevada Woman Silver Heart Award, Las Vegas African ­American Award for Distinguished Service, Citizen of the Year by the Nevada Family and Child Treatment Center and Friends of Education Annual Award by the Nevada State Education Association. She also has been presented with honorary lifetime memberships in the National Congress of Parents and Teachers and the Nevada Congress of Parents and Teachers. On May 6, 2006, she was honored with the “Spirit of Leadership” Award by the Lili Claire Foundation and has been selected to receive the Lifetime Education Achievement Award from the Public Education Foundation. In August 2006, the Tarkanian Middle School, named in her honor, was opened by the Clark County School District. On April 10, 2008, she was also honored by Las Vegas Diversity Development Inc. with the “Ladies of Victory Everlasting (LOVE)” Award. 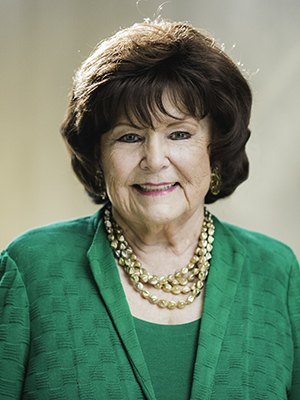 On March 7, 2009, Lois Tarkanian received the “Florence Lee Jones Humanitarian” Award from the Junior League of Las Vegas. Most recently, in fall 2012, she received the 2012 Community Partner Award from the Foundation for Recovery, the Spotlight 2012 Straight from the Heart Award from Helping Hands of Vegas Valley and a Leadership Award from the American Planning Association ­Nevada Chapter for applying her considerable community experience to champion key planning initiatives such as expanding community outreach and improving neighborhoods. As a city councilwoman, Dr. Tarkanian serves on the Regional Transportation Commission of Southern Nevada board, the Clark County Regional Flood Control District Board, the Southern Nevada Health District Board, the Making Recycling Work Committee, the Springs Preserve Board of Trustees and the Audit Oversight Committee. She has also been appointed to the Nevada Commission on Nuclear Projects by former Governor Jim Gibbons. Previously she chaired the city of Las Vegas Recommending Committee, was the vice chair of the Debt Management Commission and served on the Southern Nevada Water Authority Board, the Colorado River Commission and the Oversight Panel for School Facilities. Dr. Tarkanian was married to former UNLV basketball coach Jerry Tarkanian for 53 years. She has four children and 11 grandchildren. Saturday, May. 25, 12 to 4 p.m.
Bill & Lillie Heinrich YMCA, 4141 Meadows Lane, 702-877-9622. Bring the family, dressed to swim, to this annual fun water safety program. Join Duckie for water park fun, floating classes, water safety booths, exhibits, swimming, games and prizes. Children under 16 years must be accompanied by an adult. Sponsored by the city of Las Vegas and many community organizations.